For some people, Martin Luther King Day (MLK) Day of Service may be one of the only times throughout the year that they engage in service. It is one of the largest days of service in the nation. And it gives people of all ages, race, or status an opportunity to band together in support of those in our community. And here at Youth Action, though service is 24/7 for us, we also got to take part in this national day of service and demonstrate our leadership skills while providing support to some local non-profit organizations in Philadelphia. 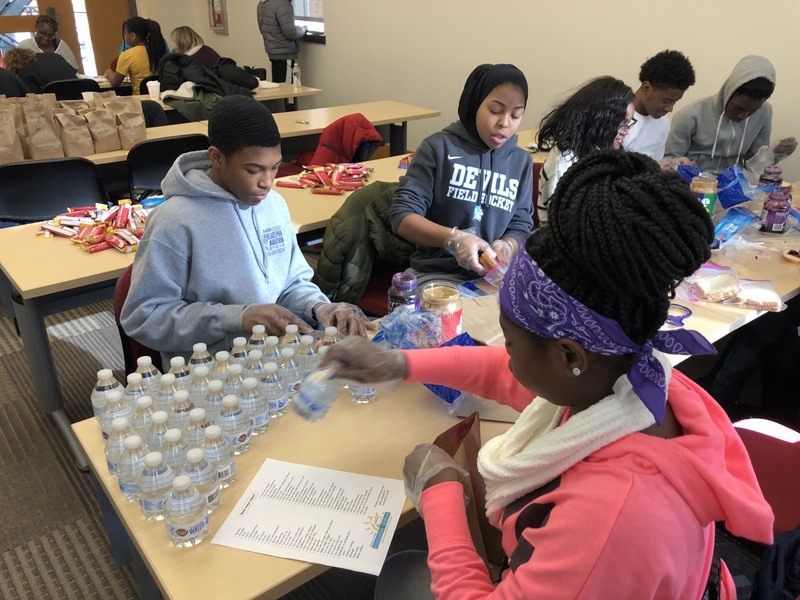 On Monday, January 15, 2019, Youth Action partnered with TeenSHARP, a local college access non-profit, for our second annual MLK Day of Service that took place at the University of Sciences. The day was filled with learning, group discussions around community issues, and most importantly, service. Students started the day in deep conversations led by students of our Inspiring Leaders Program and Director, Rabiyah Mujahid, centered on topics such as inter-family relationships, namely between children and parents, and police and community relations. Following that, students from our Junior Youth Action program, led by Brianna Morales, provided background information on the organizations we served this year and interesting statistics on homelessness, literacy in Philadelphia, and pediatric cancer to demonstrate why the need for service is so great. Youth Action coordinated 4 service stations that students alternated between to allow everyone the opportunity to serve in multiple ways. 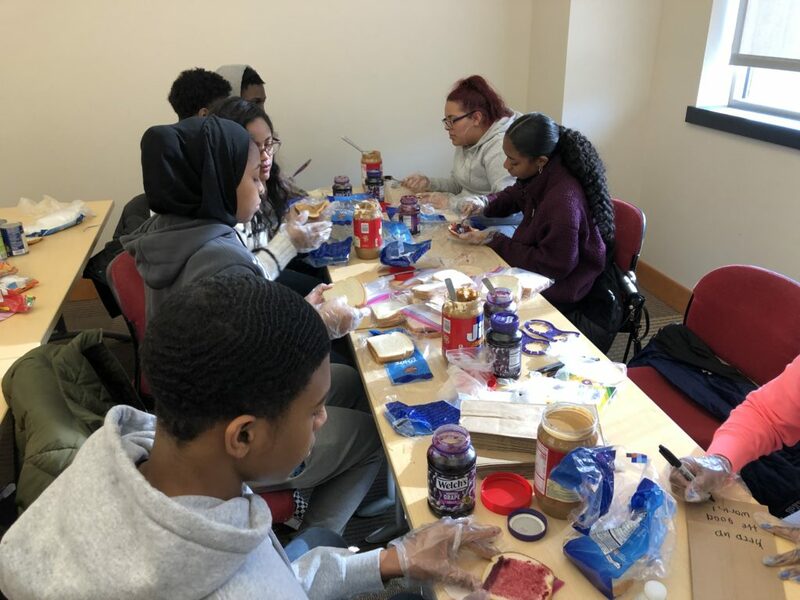 Students and volunteers prepared 100 food packages for those experiencing homelessness and the Sunday Breakfast Rescue Mission shelter which included handmade sandwiches, granola bars, and water, packaged in a brown bag with encouraging handwritten notes. 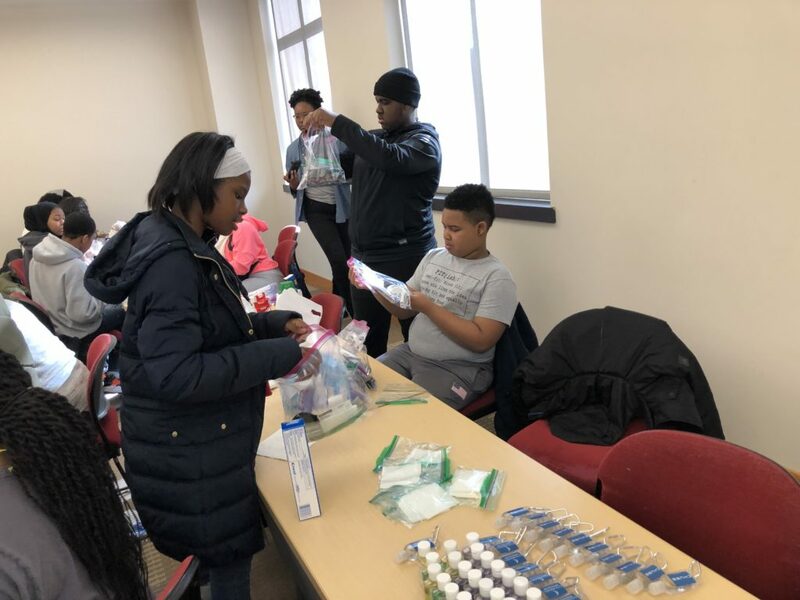 Also in service to Philadelphia’s homeless population, students and volunteers collected and prepared 50 winter care essentials packages which included gloves, socks, chapstick, deodorant, wipes, and bandages. Books were collected and organized for Tree House Books, a Giving Library and Literacy Center in North Philadelphia. 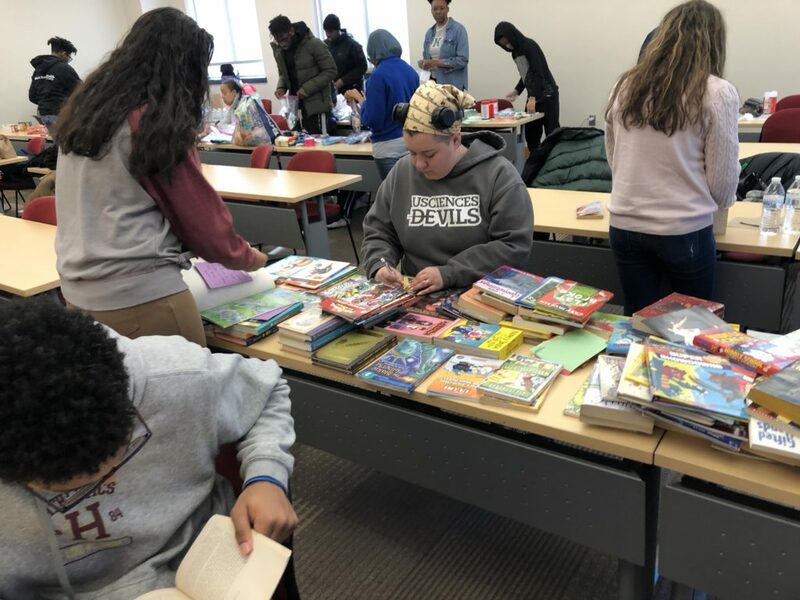 Students and volunteers even wrote catchy summaries for the nearly 300 children’s, classic literature, and fiction books that were collected. Students and volunteers were even able to get creative in support of the Sara’s Smiles Foundation. 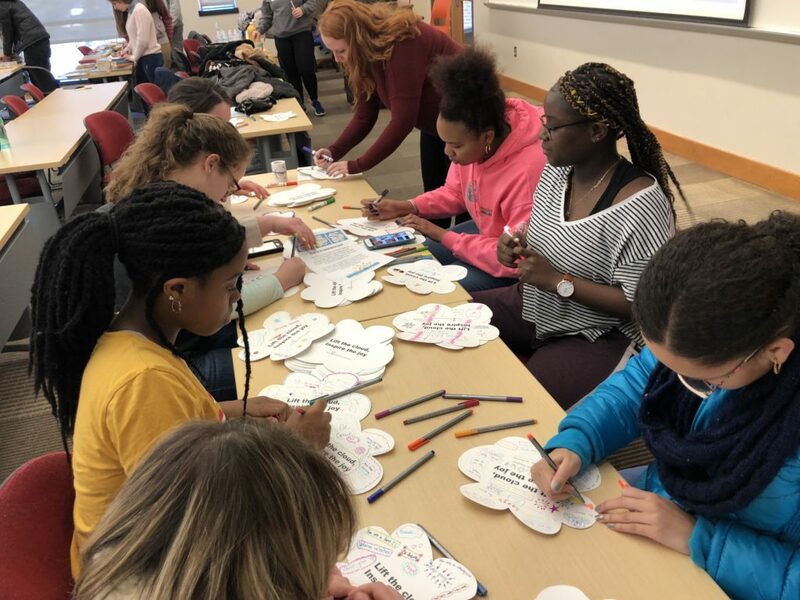 They crafted over 80 beautifully decorated clouds with inspirational messages for pediatric cancer patients that will accompany kits designed to help the children and their families stay organized, entertained, and encouraged. As we ended the day, students and volunteers took the charge to give out food and winter care packages to those in need within their own communities. The remaining items were delivered to the respective organizations. This year’s day of service was definitely “a day on, not a day off” for Youth Action and TeenSHARP members. As we continue to live out our mission of Inspiring students to Lead and providing them with the resources and support to Serve, we look forward to encouraging even more youth in the Greater Philadelphia to be the change within their communities.